Buy Rowse Organic Squeezy Honey - 340g in the UK from our online shop or directly from our independent Scottish store. Organic clear honey is a perfect all-rounder from breakfast to baking. 100% pure and natural. This clear, organic honey comes in a handy squeezy tube. It is 100% pure and natural - simply squeeze over porridge, drizzle on toast or dollop on yoghurt. Try it in salad dressings, marinades or in cakes. We sell real Rowse and other Honeys directly from our shop in Scotland and online throughout the UK. View more products from Rowse. Where can you buy real Rowse Organic Squeezy Honey safely online? 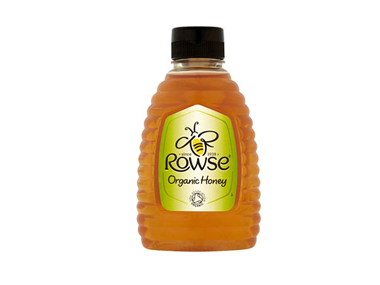 If you are wondering where you can buy Rowse Organic Squeezy Honey - 340g safely online in the UK, then shop with us. Rowse Organic Squeezy Honey - Rowse Organic Squeezy Honey - 340g in Honeys and Honeys, Jams & Spreads.